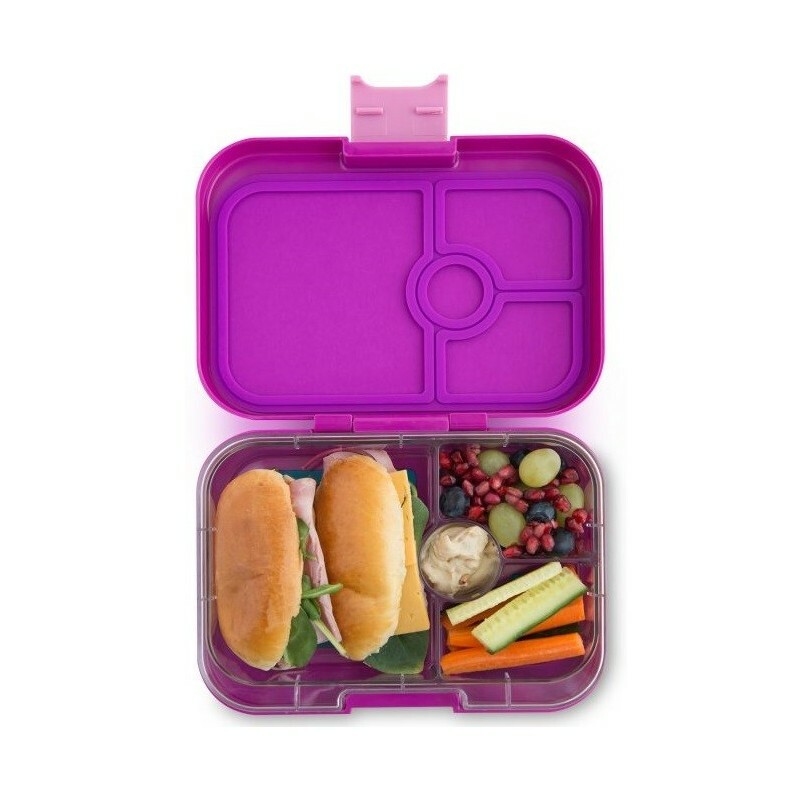 A wild purple Panino style Yumbox is a bento lunch box with 4 compartments and a single lid. For adults and children, Yumbox Panino has 3 cup volume in total: one 2 cup sandwich/salad friendly section, two 1/2 cup servings, and a dip/treat well. Pack wet foods like yogurt and dips (not water). Bijoux Purple colour. Includes box and tray insert with Paris themed illustrations.